Today we have a blast from the past! I started blogging in 2011 and, well, I pretty much sucked. I mean, I was still figuring things out (to say the least!) I made this pretty little book page wreath, but the images were such a poor quality! I thought I'd share it today along with it's current location, on the frame-turned-chalkboard I made last fall. 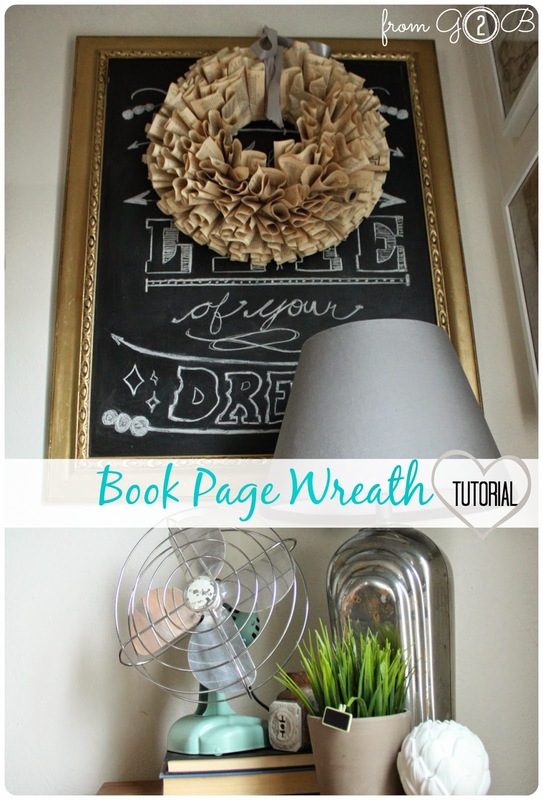 You can create this wreathe, too, with a glue gun, a styrofoam wreathe form and an old book. Pull the pages out of an old book. 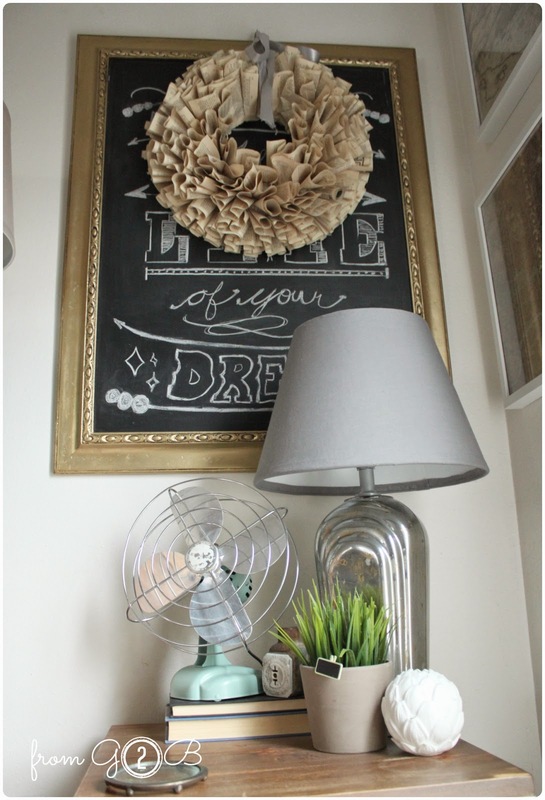 Use a glue gun to attach the pages rolled/folded to the styrofoam wreath form. *With the glue gun you should always bring a new set of fingers, since you will burn yours right off. lol Seriously, I always use a utensil, like an old knife, to hold the pages to the form while the glue cools a little. Use a paper clip to form a hook and push it into the top of the wreath form. This wreath has hung up around my house for three years now. I've had it on mirrors and chalkboards and both are so pretty. Not a lot of pieces make it that long, so it was worth re-sharing!